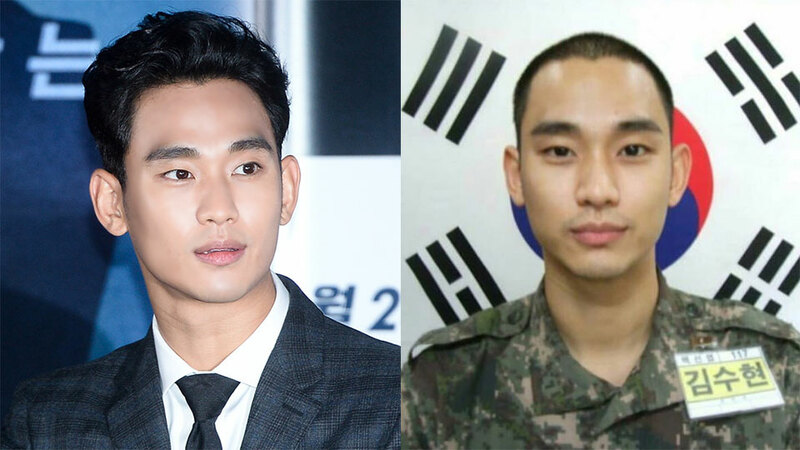 Fans now can see Kim Soohyun's current state in the army. Recently, a photo of the actor with his head shaved has gone viral in various online communities. Many believe that the photo is Kim Soohyun's official profile picture for his army life. In the photo, he stands straight against South Korea's national flag, while wearing his military uniform. 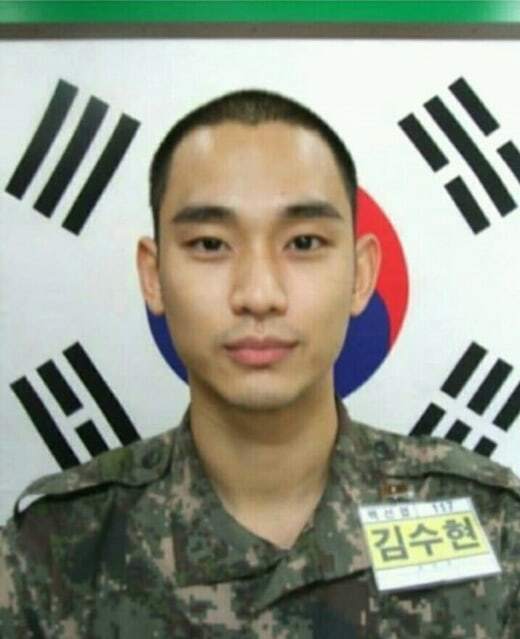 Kim Soohyun enlisted in the army on October 23rd KST, without any special event. The actor quietly enlisted in the training camp in Paju, before starting his full 21 months service. Kim Soohyun is scheduled to discharge on July 22nd, 2019.